Enlarge DisplayPort is an interface deined by the VESA (Video Electronics Standards Association). 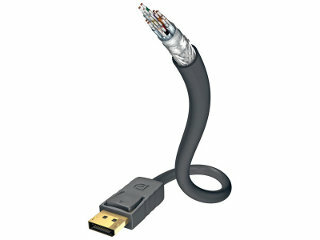 The Excellence DisplayPort cable is fully-wired and has 4 data ducts. Each data duct is designed for a bandwidth of 2.7 Gbit/s. It handles the highest specified data rate of 10.8 Gbit/s.